The new VidiU Go box is aimed at professional live streamers. It offers both an HDMI and a 3G-SDI input for the camera images, which are then compressed into either H.264 or the twice as efficient HEVC and sent via radio to the network. The box is operated either via the web interface, the integrated OLED display or via the VidiU app (iOS and Android). VidiU offers several possibilities for the transmission of images: Ethernet, WiFi and up to two 3G / 4G / LTE modems (Teradek Node) that can be attached to the sides. Several methods can also be combined for secure and interference-free transmission. Using the Pay-Streaming services Sharelink or Core, the videos can be streamed simultaneously to several platforms such as YouTube, Facebook and Twitch. 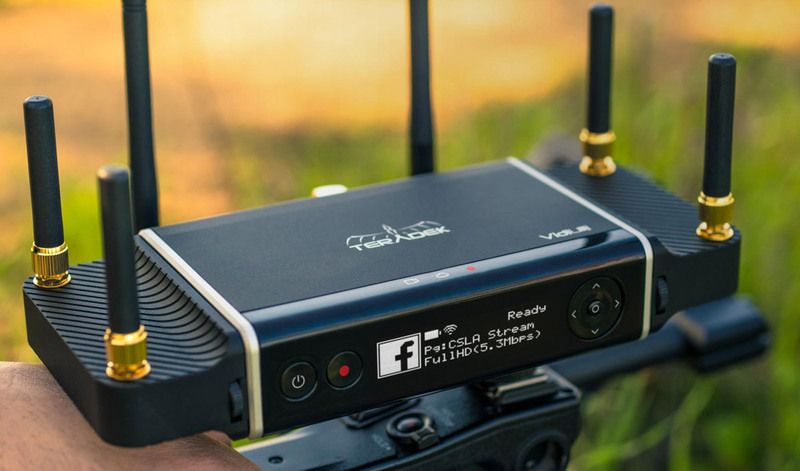 Teradek VidiU Go costs about 1,500 dollars, the matching Node 3G / 4G / LTE modem about 400 dollars - will be delivered in a few weeks.